Alright, Grunt! Settle into line! You’ve got your uniform in tip-top shape. You’ve been working on your stance. You’ve got the salute down! You’ve got guts of iron and legs of jelly. (We can’t blame you for that last one, since we’re the ones that made you run up and down the football field 312 times in the last month.) But, most importantly you’re almost completely geared up for your mission. All you’re missing is your military arm and, well, obviously that’s a pretty important part of the uniform, Grunt! Worry not. 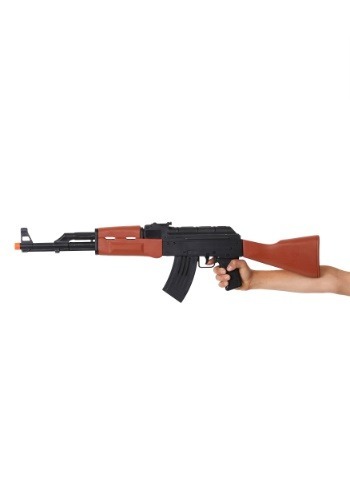 We’ve got the quartermaster ready to aid you with this AK-47 Machine Gun weapon accessory. Perfect for an army commando, this toy AK-47 machine gun will have any military operative ready for the most dangerous of missions! The toy assault rifle is made of plastic and features a brown stock that resembles wood. 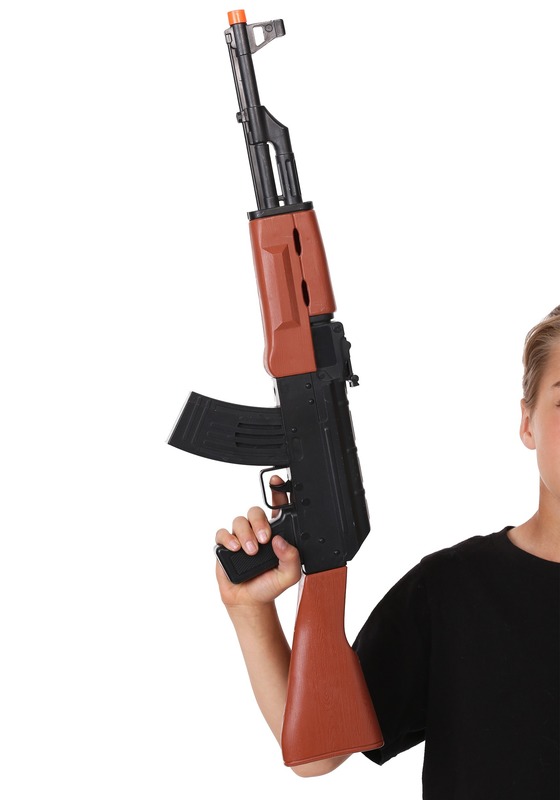 The machine gun is modeled after an AK-47 and features an orange cap on the barrel to indicate that it is a toy. When you squeeze the trigger, the toy gun even makes real action sounds. Pair this with your Rambo costume to become an unstoppable action hero from the movies and, with a complete uniform, you know you’re free of that 313th run!